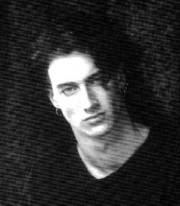 Nick Rushe was the keyboardist for Nine Inch Nails for a brief period in 1990, during the band's stint in supporting The Jesus And Mary Chain. He replaced Chris Vrenna on the keyboards, so that Vrenna would be able to play drums for the band instead. Rushe came from the Exotic Birds and he worked on one studio album with the band and Trent Reznor (who was also in the Exotic Birds at the time). He was active for just 34 dates, after which being replaced by David Haymes. This page was last modified on 12 October 2013, at 15:39. This page has been accessed 12,997 times.